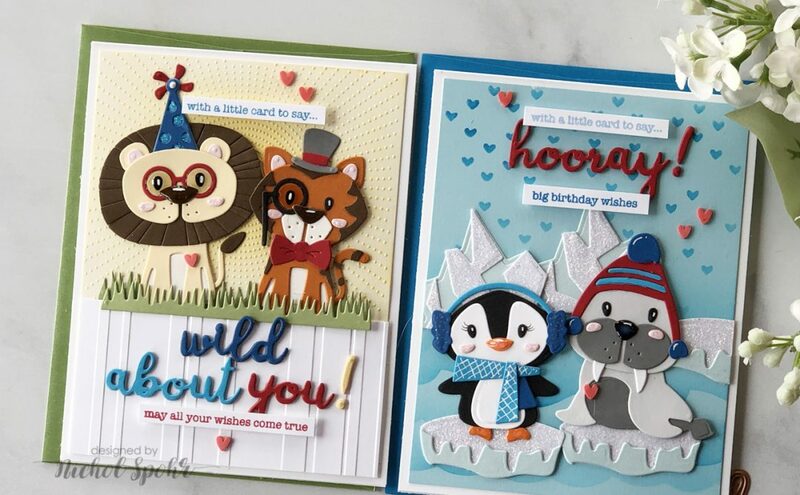 Hello everyone, Yana is here sharing another card making video tutorial. I love to use dies in variety of ways. Last month I shared a video tutorial, I’m Here for You card using Hipster 1 Set, showing how to make a negative die cut background. Today I’m inviting you to creative a positive one! 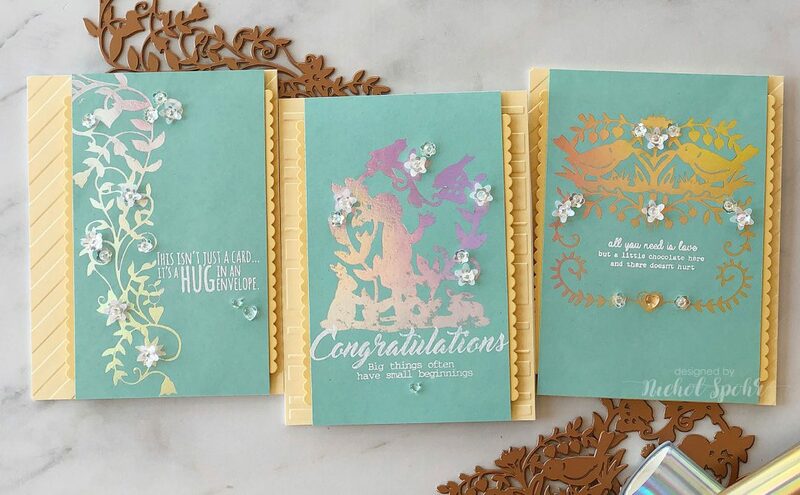 Small dies are ideal for making your own unique backgrounds for cards, scrapbook pages and other projects. By using the same shape repeatedly one can easily create large patterns (you can mix different shapes, too!). Today I’m using a fun Nautical die set and creating a background using an anchor die. The key here is adding an adhesive sheet to your cardstock before you die cut it to create instant sticky die cuts or stickers. This makes creating backgrounds like this a very easy and quick task. Brown, grey, yellow and black cardstock; Yellow Canvas; Vellum; Adhesive sheets; Clear Stamps; White Embossing Powder; Clear Sticky Ink; Wooden Clothespin; Cork Stars; Clear Droplets; Glue. Learn how you can make this project below.